EX-Tech is specially designed for wood floors with heavy commercial and intense residential traffic. EX-Tech is an innovation using aluminium oxide technology. 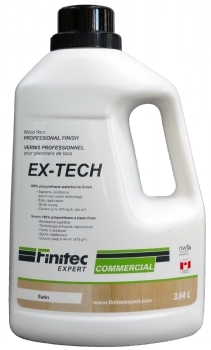 Providing a supreme resistance for wood floors, EX-Tech is the highest performing finish. Coverage 450 sq.ft. 2500 sq.ft.